The QR X350 PRO by Walkera has a great range on both remotes. The DEVO-10 can extend your range by a little over a mile. The range on the DEVO-F7 remote comes with a First Person View (FPV) screen (gimbal and camera are an additional cost). It has about a third of a mile to a bit over a half mile range. That’s more than 5 football fields on the low end. Pretty good range if you ask me. 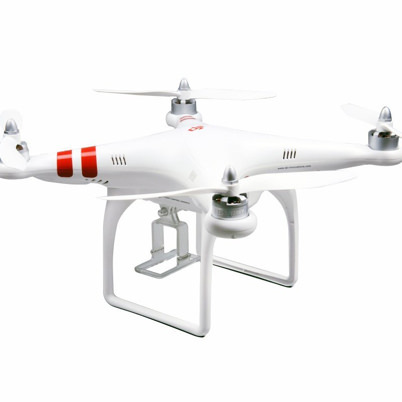 Comes equipped with a DEVO-M GPS, making the quadcopter easier to fly and control. 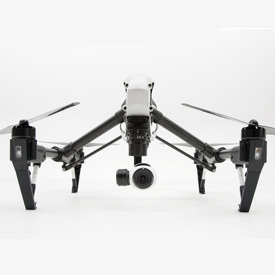 It also comes with Intelligent Orientation Control (IOC), or Headless mode, which allows you to fly the drone from your perspective on the ground. Another great feature is the Return to Home (RTH) or Return to Launch (RTL) switch. If the battery runs low or if you just want it to come back, a flick of the switch brings the QR X350 PRO back to where it took off. 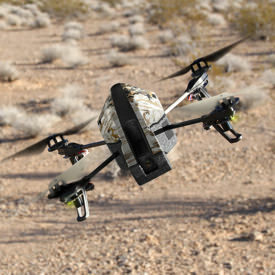 The biggest downfall I have seen while researching this drone is the number of reports of it just dropping from the sky. 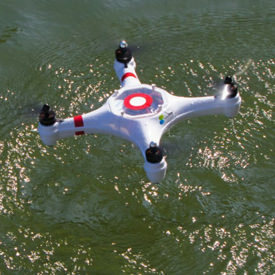 This can be a costly issue, considering the price of this quadcopter. There are two options for the Walkera QR X350 PRO drone. You can either get the DEVO-F7 or the DEVO-10. 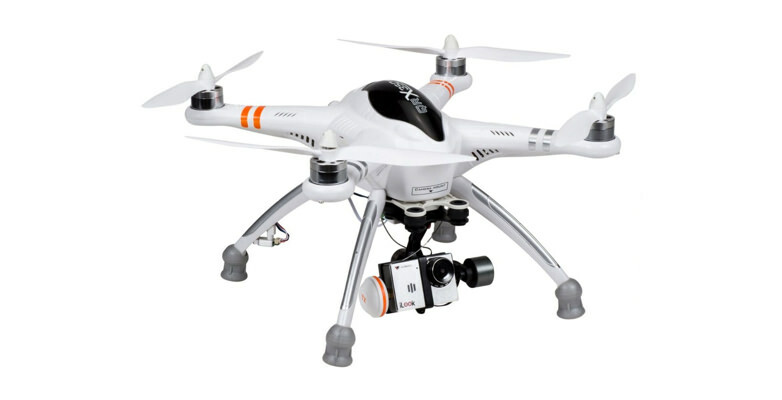 The actual quadcopter is exactly the same, the F7 and 10 refer to the control system that comes with your drone. The DEVO-10 has no FPV screen, but it has more channels and longer range. You can get an attachment that will hold your mobile phone and you can sync it to the optional camera. This will give you longer range and FPV. 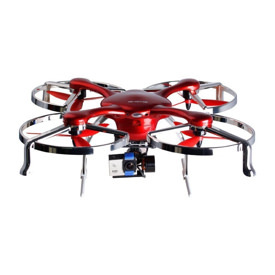 The DEVO-F7 gives you fewer channels and a screen for which to fly your drone. Make sure that you also purchase the gimbal and camera, or that it is included in the package you are considering. If not, you may find the screen on the remote control pointless. The gimbal for the QR X350 supports an iLook camera or a GoPro Hero camera. 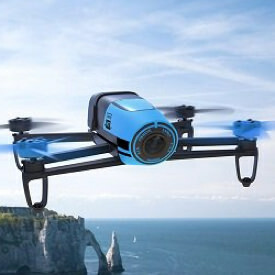 Walkera claims that this drone will fly for 25 minutes on a single charge. However, I can’t find any documentation to back this up. Most of the reports I’ve read say that the flight time is closer to 18 minutes and 15 with the gimbal and camera attached. This 25 minute benchmark must only be for hovering in one spot. 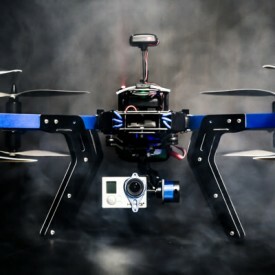 The drone comes Ready-to-Fly (RTF) with minimal assembly. It is easy and fun to fly, provided there are no issues during your flight. 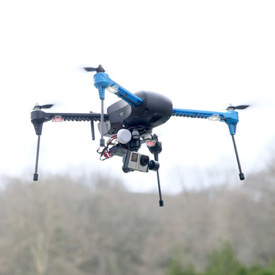 Many users have seen their drones fall out of the sky with no wind and no pilot error. The most common occurrence is with low battery. There seems to be an issue with the RTL and low battery sensor. The quadcopter tends to run out of juice before it makes it back to the launch point. Many people point to the Walkera QR X350 PRO as a good starter drone. If you’re looking for something inexpensive, this may be a good choice. However, I would recommend checking out the IRIS+ before making a purchase decision.